Our client required more sturdy change rooms and clothing racks for their store area. 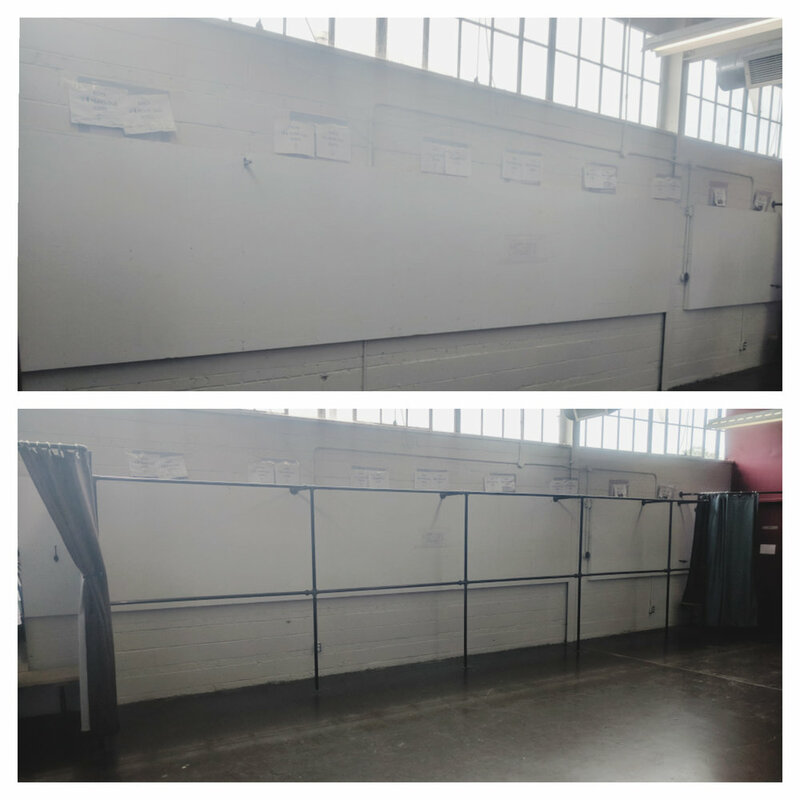 We worked to design, fabricate, and install 3 change rooms with privacy curtains and custom wood and pipe benches inside, and two long double hanging clothing racks to replace their old ones that were constantly needing attention and repair. They are all made from the same pipe for visual consistency, and are strong enough to do chin ups on, so there’s no longer any worry of the change rooms toppling over on anyone. The clothing racks in the store were the regular racks you would see in stores. However, they were sagging and breaking under the weight of the clothing that was hanging on them. We built these pipe clothing racks to go with the new change rooms and to mimic the design of the old clothing racks to ensure maximum functionality. These were the original change rooms at GLOW. They were getting worn from constant use and staff worried that they would tip over and injure someone. This change room actually houses two separate rooms. This change room was built to maximize space. The corner of the room was unused and therefore made the perfect spot for an additional change room.